Home » Travel Hacks » Travel Tips » Eurail Pass For Families: Is It Worth It? At first glance a Eurail pass seems like a daunting contraption. Finding what you need to get, and deciding where you want to go on your European train journey, may feel like a complicated process. But once you figure it out the rest is easy. We were recommended a Global Pass. It allowed us 15 days of travel across 2 months. A ‘day of travel’ consists of unlimited train rides within a 24-hour period. So it’s important not to think of it as 15 train journeys, but 15 days of travel. Within the 2 months we managed to fit in 26 individual train rides. Ticket pricing – Do your research on the destinations you want to visit and if the pricing is going to benefit you. You can see the breakdown of costs and our exact route on our Ultimate Europe Train Trip post. Included countries - Check the Eurail website to make sure the places you are heading to are included as part of the Global Pass. Read the material – Read through the guides and maps that are provided with the pass. In particular look out for overnight train rides – most of them only count as 1 day of travel, not 2, which is a bonus. 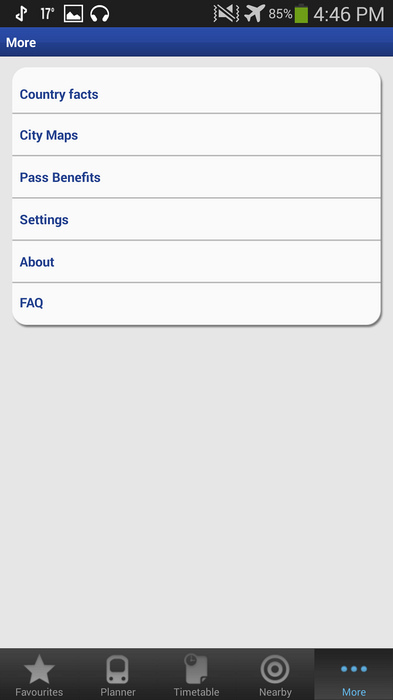 All the instructions on how to use the pass are explained in detail. Importantly, you need to “activate” the pass 1 time before your first train journey. This can either be done online or at a ticket booth at any almost any train station. Reservations – Some trains require a reservation. During peak season these need to be done in advance. We travelled during the off-season (starting in late August) and had no problems booking reservations the day of our journey. 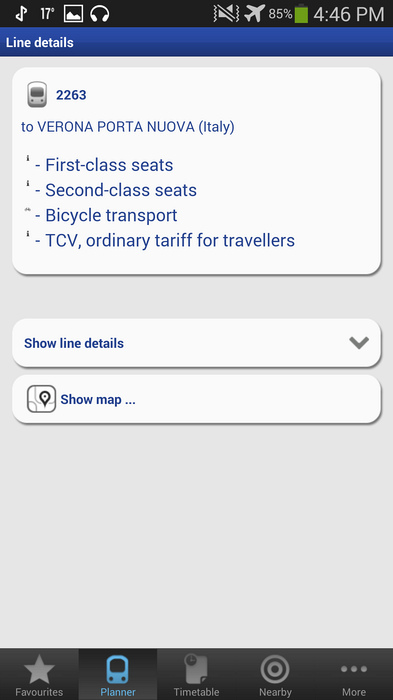 Naturally there are limited spaces on trains so the most popular routes often provide a reservation system. 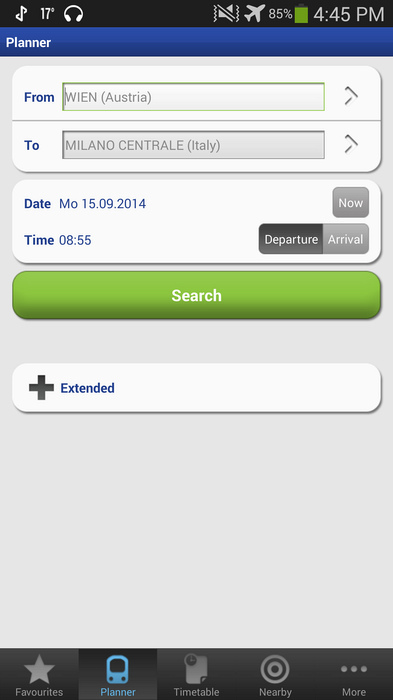 You can check the mobile app if a reservation is required for your particular train trip. 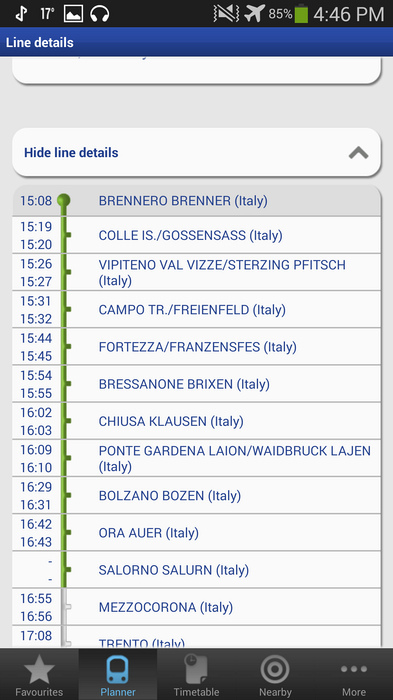 On the back of the primary map is the simplified map which includes approximate times between major cities via train. Very useful! I was a bit naughty and never filled in our tickets before we got on the train, in case we missed one or had last minute changes. Once we boarded I got out the tickets and a pen to fill in the form. It’s not as complicated as it looks. The actual information the ticket inspectors are looking for is simply a date in the box at the top and they will then stamp underneath the current date. 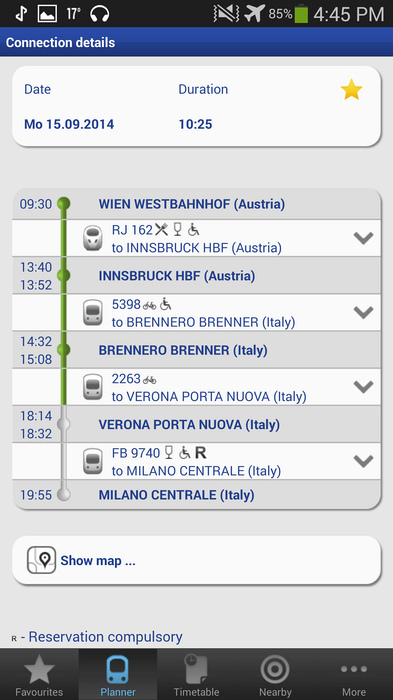 Then there is a section at the bottom that Eurail prefers you to fill in to collect important information at the end of your journey. This portion of the ticket is simply sent back to Eurail via snail mail upon the completion of your final train trip for the purpose of gathering statistics on how the pass is used. In return they send you back a small gift. How nice! The only slightly bothersome thing I found with the ticketing system was filling in 4 separate tickets on every train ride (1 for each person in our family). But it was a small price to pay. Make sure this is done before the ticket inspector comes around as you may be accused of trying to cheat the system and issued a fine for not holding a “valid ticket”. The ticket inspectors we came across were usually friendly and on the odd occasion we overlooked filling it in, they didn’t mind. In fact one of them even offered us a pen. Forms - As mentioned above, filling in 4 forms was a slight bother, but it did give me something to do on the long train journeys. Reservations – Checking to make sure your train is free or requires an extra fee required a little advanced planning. But regardless if using a Eurail pass, these reservation fees would still have to be paid. This can be done online or at a train station ticket booth. Countries not included – A couple European countries are not included in the Eurail pass and although it was my own fault for not checking, it would be great for a few more Balkan countries to jump on board the program (I’m looking at you, Serbia and Macedonia). Trains – Trains varied. We went from First Class with on-board playrooms and cafes, to 6-hour trains without food facilities and dingy toilets. Western Europe generally had nicer trains, if you are determined to travel in style. Cost – even without a Eurail Pass, training your way around Europe is expensive. It certainly is not the cheapest way to travel. 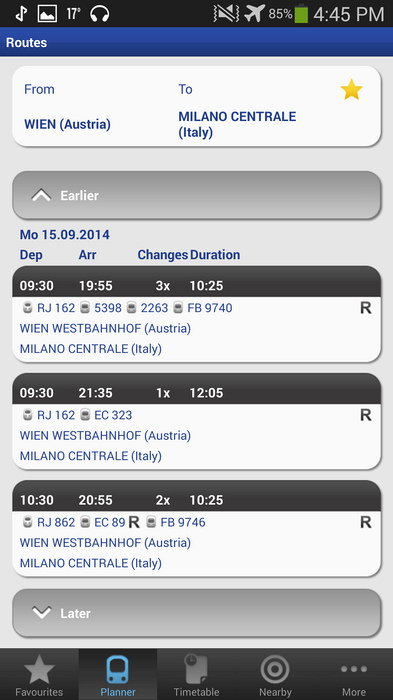 Wait Time – Catching a train in Europe is so convenient. There is no need to arrive 2-3 hours in advance like a flight, just hanging around waiting. You can rock up when you like, even just a few minutes before the departure time. Luggage – Unlike flights there are generally no strictly enforced baggage limits. We never had to worry about if the shampoo was in the checked baggage verses the carry on or if my tweezers were going to be confiscated. Space – During the off-season European trains had plenty of space. We were able to spread out and comfortably enjoy the ride. The kids could walk around, lie on the floor, and switch seats without bothering other passengers. That was a big bonus when travelling with young children. First Class – How much would you pay for a bed that lays flat on a plane? First class on the train is much more affordable in the bigger scheme of things verses first class on a plane. Ticket Collection – I loved that we had our tickets with us the whole time. We didn’t need to stop to buy tickets or find cash to do so. The Eurail pass was so handy and a big time-saver, especially in those moments when we arrived at the train station just minutes before departure. Views – The views from the train were phenomenal and we saw so much more of Europe – quaint towns, beautiful landscapes, rolling hills and majestic mountains. Electronics – Unlike flights, there’s no restrictions on using laptops, phones and other electronics on trains. So that meant as soon as we got on board we could pull out our laptops and start working. Some trains even included power points which kept us going on the long-haul journeys. More than trains – the Eurail pass also includes access to certain buses and ferries. 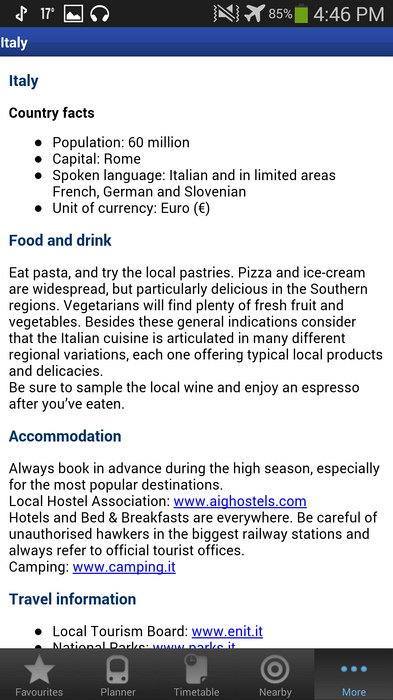 These are outlined on the Eurail website and on the mobile app. 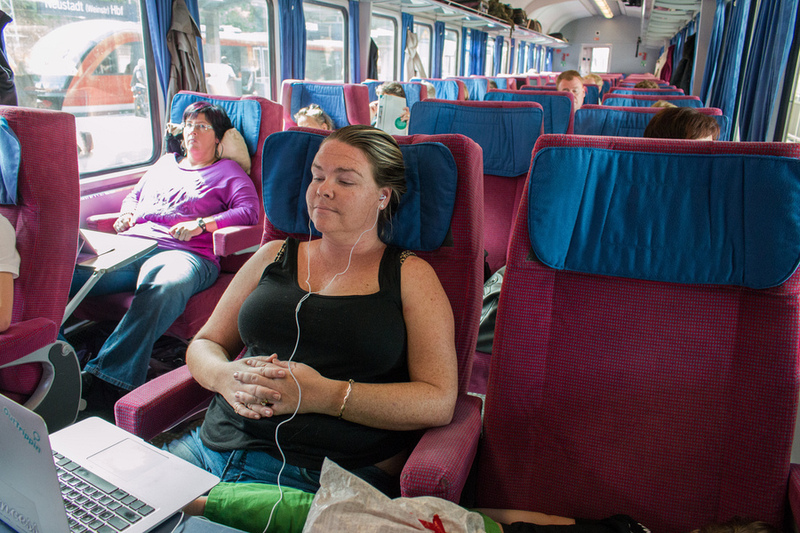 First class tickets include free access to premium lounges at some train stations. Free snacks at Vienna’s Westbahnhof train station business lounge, yes please! These are just the tip of the iceberg. For more details, check out individual posts in Luxembourg, Germany, Switzerland, Austria, Croatia, Italy and Greece. If you are contemplating an epic train journey throughout Europe my final suggestion is “do it!”. We thoroughly enjoyed our own epic train trip from Belgium to Greece. We got plenty of work done, soaked up plenty of eye-gougingly scenic vistas and had plenty of space to stretch out. And most importantly, our kids loved it. The pros outweighed the cons for us and if you can manage the biggest hurdle – the cost – then you will find training around Europe is an unforgettable experience you should do at least once in a lifetime. And if you’re lucky, more than once. Love this write-up Erin! You got me all excited for my Eurail trip next summer :) Can't wait! It certainly isn't the cheapest way to travel, but it is wonderfully relaxing, as I know here from Spain. I checked out your other article also, and was a bit surprised that you didn't save in terms of your journeys and the cost of the pass. Of course I appreciate the other benefits. Years ago I worked for London Student Travel, when I was about 18 or so. Part of the job was to spend 1 or 2 days a week in the kiosk in Victoria Station, in London. This was where lots of young travellers used to come to pick up or buy their Interail passes. It was fun to see them heading off on their adventure. Best Very, very helpful review Erin! Looking forward to using our Eurail Global passes next year. You pretty much answered any question I may have had about the whole ticketing process works. Great article. It all sounds rather complicated but I expect once you've got the hang of it it all falls into place. 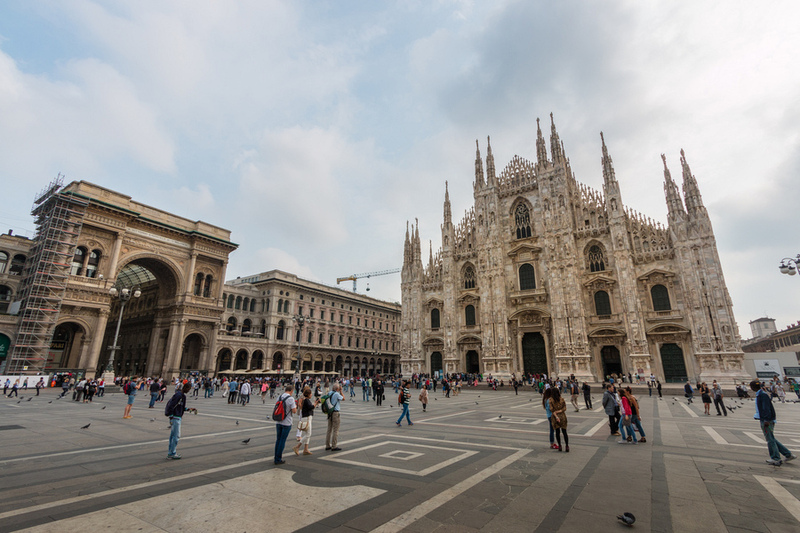 Love the picture of Milan's Duomo. I had heard it was impressive but it looks amazing! Luxemburg looks beautiful too. Hope I get to see both one day. Initially this looks complicated, however so is having to navigate and get tickets in every new country! This means you do the hard work ahead of time and then just have to follow signs on holiday - low stress option by the looks of it! Even after three night trains, several months of travels on European trains using Eurail passes, (over the past few years), I still learned a lot from your post. You have laid out the information so succinctly for us all! Thanks! I also love that you have shared this wonderful world with your young children, who will benefit greatly from the experience. Four new countries join Eurail's Global Pass offer this year. The additions of Bosnia-Herzegovina, Montenegro, Poland and Serbia bring the total to 28 countries that can be explored with the rail pass. The border connections created by this expansion add even more possibilities to the already vast itinerary options. For example, travelers can ride down the east Adriatic coast from Croatia to Montenegro, or stop in Poland on their way from Prague to Berlin. With the launch of the new Children Travel Free initiative, Eurail backs its belief that trains provide the best mode of transportation for a family bonding adventure through Europe. Children ages 0 to 11 can ride for free with a family member or friend who is traveling on an Adult Eurail Pass. Up to two children per adult can travel free. Traveling with children or friends in the 12-to-25 age group has become easier with the introduction of the first-class Youth Pass. This pass was previously only available in second class. The first-class Youth Pass is now for sale at a 20% discount from the adult cost, so everyone can enjoy the journey together in first-class comfort. 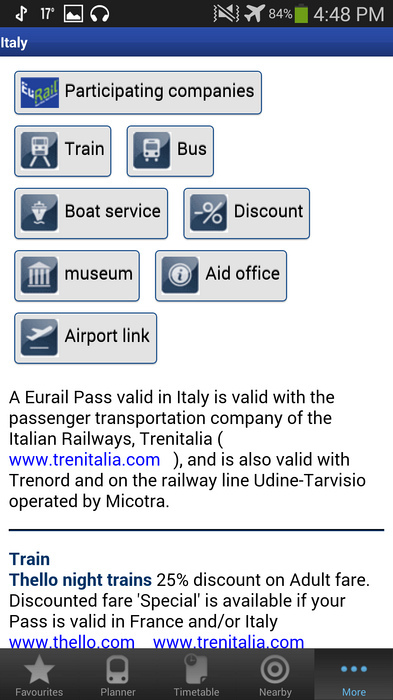 Besides the addition of new countries to the Global Pass product, Eurail has added a new pass category as well. Catering to the fact that not all travelers have an abundance of vacation days to explore 28 countries, the 5 in 10 Days Global Pass option gives customers five travel days anywhere within a 10-day span to visit non-bordering countries of their choice. Another way Eurail is giving customers more options is with the Attica Pass, a new One Country Pass to the Greek islands by ferry. With two international trips, customers can use Italy as a jumping-off point. It offers six ferry crossings within one month (the two international trips between Italy and Greece and four domestic trips for island hopping), and takes care of travelers with a rail/bus transfer from the international port of Patras to the domestic port of Piraeus.